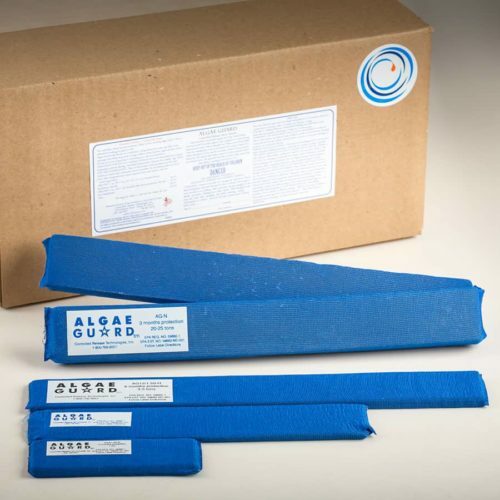 Our timed-release products can protect your drain pans for up to 6 months. 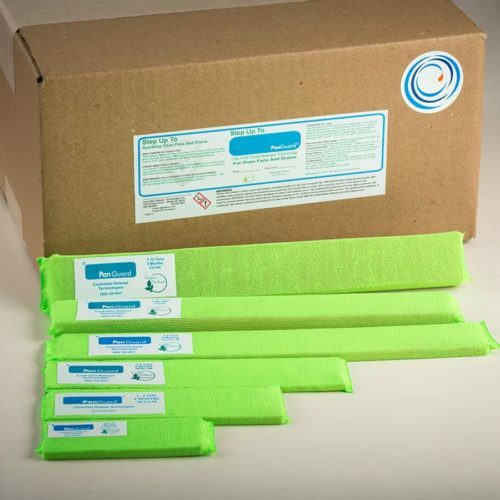 This family of products includes: PanGuard, Algae Guard, Cooler Guard and Drain Rings. Clean Bond, Our powerhouse cleaner that packs a one-two-three punch when it comes to cleaning and pre-treating your drip pans, is a cleaner and degreaser, a powerful adhesive and bonding agent (in case you’re installing our products Pancrete and V570), and a strong flash rust inhibitor. We also have two products for cleaning drain pans: Instant Powder Kegs and Fast Attack HVAC System Sanitizer.